The pilot of a doomed Lion Air flight ‘fought continuously’ against malfunctioning computers that were trying to force the plane’s nose down before it crashed off Indonesia killing all 189 people on board, according to a preliminary report. The nose dipped more than a dozen times during the 11-minute flight on October 29, but the crew managed able to pull it up repeatedly before they finally lost control and the Boeing 737 crashed into the Java Sea. The information was taken from the flight data recorder and appeared to back investigators’ theories that the on-flight computers were to blame for the tragedy. The software – called the manoeuvring characteristics augmentation system – is meant to stop the nose from rising too sharply and stalling the plane, according to an early report by Malaysian officials seen by the New York Times. 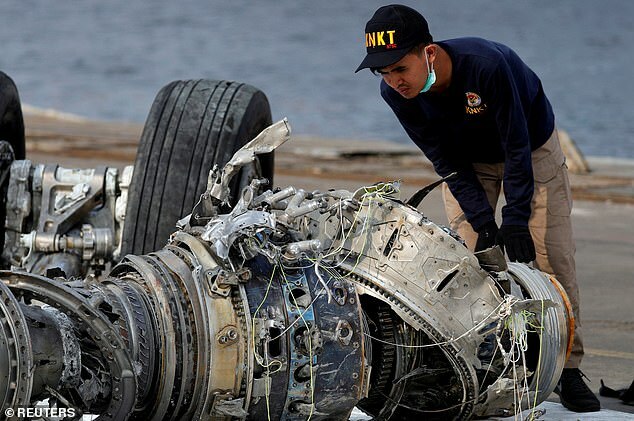 ‘The pilots fought continuously until the end of the flight,’ said Captain Nurcahyo Utomo, the air accident investigator who is leading the probe. So far, investigators have said the doomed aircraft had problems with its airspeed indicator and angle of attack (AOA) sensors, prompting Boeing to issue a special bulletin telling operators what to do when they face the same situation. The APA, a US airline pilots union, said that carriers and pilots had not been informed by Boeing of certain changes in the aircraft control system installed on the new MAX variants of the 737. The Indonesian National Transportation Safety Committee has retrieved one of the plane’s black boxes – the flight data recorder – but is yet to locate the cockpit voice recorder. Black box data showed the plane had an airspeed indicator issue on multiple earlier flights, investigators said. 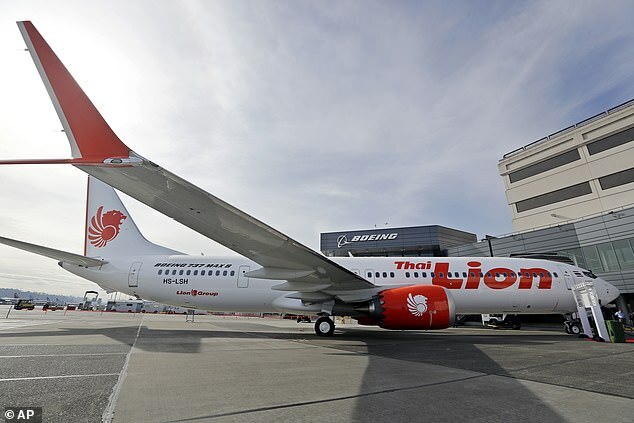 Concerns have been raised by news that Lion Air kept putting the plane back into service despite repeatedly failing to fix the problem in the days leading up to the fatal flight. Authorities have called off the grim task of identifying victims of the crash, with 125 people officially recognised after testing on human remains that filled some 200 body bags.